Live music and entertainment with Jazzamatazz, hosted at the Westwood Heath Club & Reading Rooms. A welcoming venue. Has a large car park with CCTV, no stairs, disabled access, real ales, reasonable bar prices and snacks available. Entry fee * £7.50, plus RAFFLE. Children over 14 £4.00. Everyone is very welcome. Dancers welcomed warmly! Everyone made very welcome at our friendly and happy jazz club. You may arrive as a new face or a newcomer to jazz, but you will be sure to go away with great memories and some very precious friends. 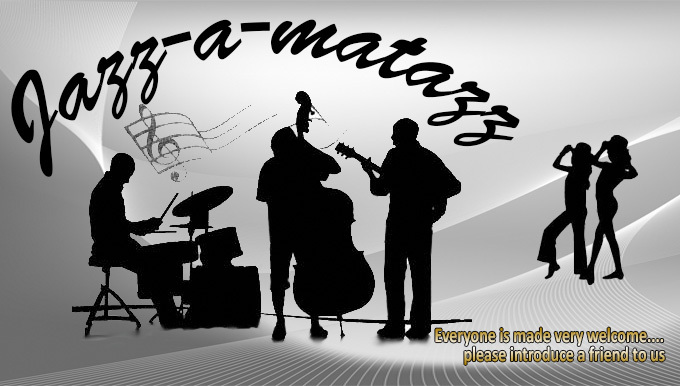 If you want to be kept up to date with all the latest news and developments at Jazz-a-matazz, just fill in our Contact Form and we will add you to our mailing list.